Rod Barton is pleased to announce the group show of new paintings “Friends of Marvin Gardens” featuring the works of Melissa Brown, Meg Franklin, Alicia Gibson, Susumu Kamijo, Anthony Miler, Adrianne Rubenstein and Jennifer Sullivan. The show acts as a microcosm of the activity of painters within a vibrant and transactional collaborartice environment that avoids the question of what painting is to instead pose the crucial questions of how artists discuss, collaborate and create the necessary environments within each other to produce, support and dedicate a life to art practice. 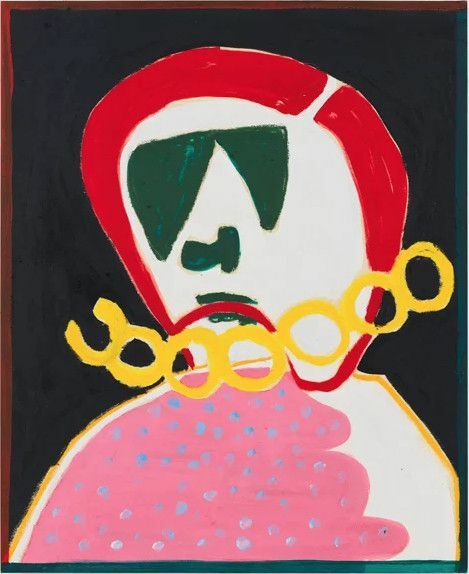 Melissa Brown’s paintings evoke the endless discussion between artists about their reservoir of visual discourse, the prevalence of the art history canon and their subsequent contemporary moment. Presented on aluminium panels and combining a confluence of materials including oils, acrylic, resin and scratch-off ink, Brown’s paintings mimic the 21st century information culture. Depictions of famous paintings, historical compositions and contemporary subjects collide into a non-space that is effortlessly curated by the artist. Anthony Miler, is a man and artist who is constantly busy with both his endeavour and his approach to his painting practice. Miler’s work shares a penchant for the brutally reduced forms of the CoBrA Group. 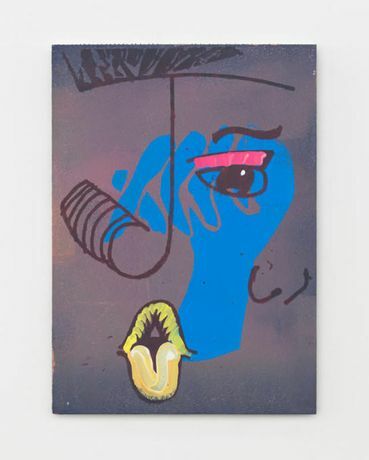 Rarely shielding itself, Miler instead allows himself to drop into the production of his paintings and drawings with a frenetic energy that extends beyond the physical application of substance to canvas and instead transcends to an anxiety between sleep- paralysis and dreamless wanderlust. 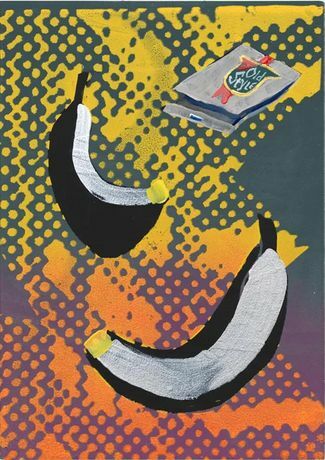 Jennifer Sullivan is an artist with a diverse and extensive portfolio of practice that encompasses painting, video and comedy amidst other ventures. These varying strands oscillate together and diverge throughout her endeavours, like sections of an elaborate braid. Sullivan’s work tackles aspects of daily culture with an innate sense of wit and positioning.This show is an emblematic display of the ways in which painters integrate, discuss and dissipate within a shared community of working ideas. All heralding from New York City and showing in London, a transplanted discussion is lifted and rooted within the gallery space between the artists. What does it mean to have artistic agency? Where are the confines and tangents of conversation? Most of all, what painting do you like and why?